I always assumed Field Level Security privileges are somehow inclusive, meaning you can’t have Update privilege without Read. I was wrong. 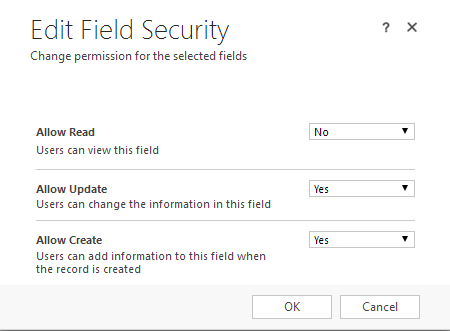 will prevent the profile users from reading the secured field value but will allow them to create with and update it. I can’t think of a business process which requires such behavior, but since Field Level Security apply to APIs as well as UI, it may be useful when external applications are required to update a secured value but are not allowed to retrieve it.